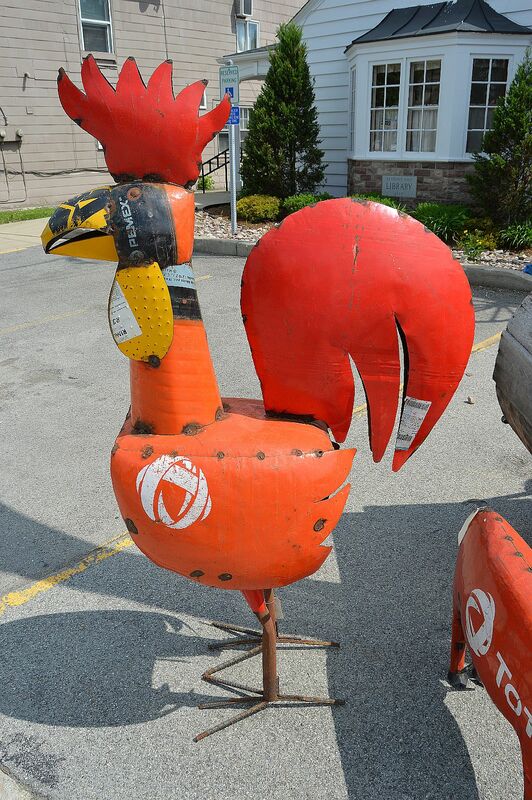 Your eyes are not deceiving you when driving past a four foot tall rooster standing out in front of Niagara Emporium Olde Country Store at 10867 Main Street, Clarence Hollow. 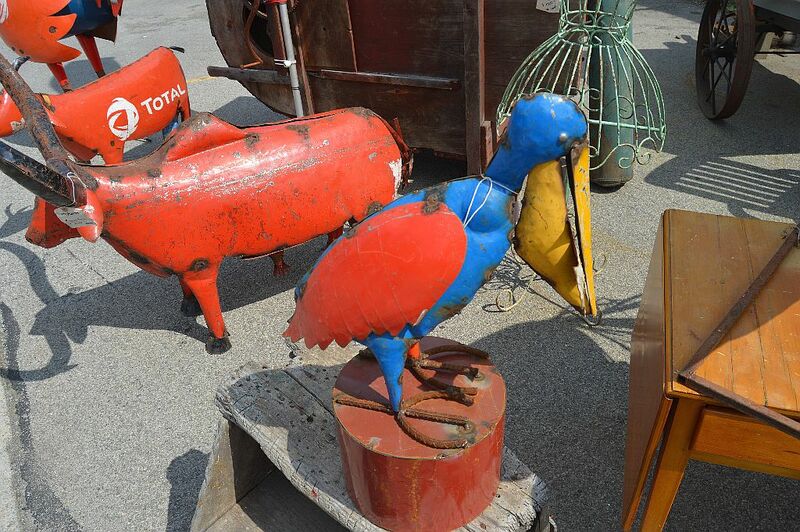 In fact, there’s a whole Noah’s Ark of large, metal animal sculptures waiting to greet you when walking up to the store. 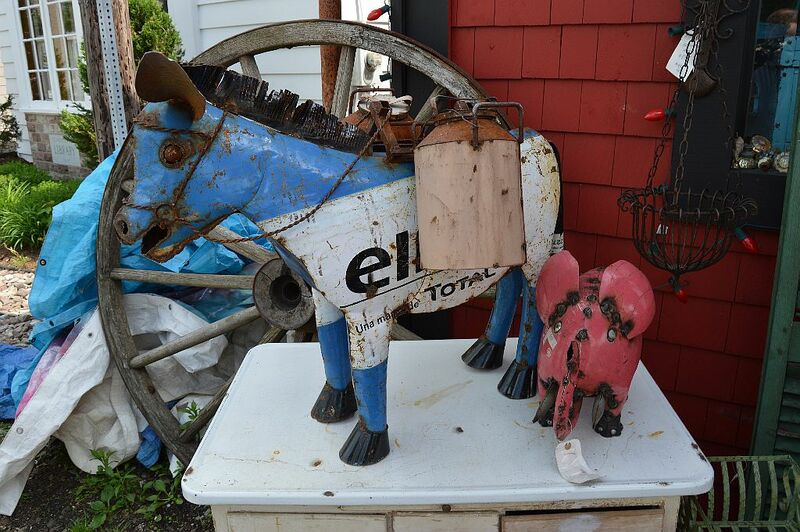 There are 15 or more different animal sculptures made out of salvageable materials at Niagara Emporium Olde Country Store, in addition to lawn ornaments and other items that would look good outside your home. 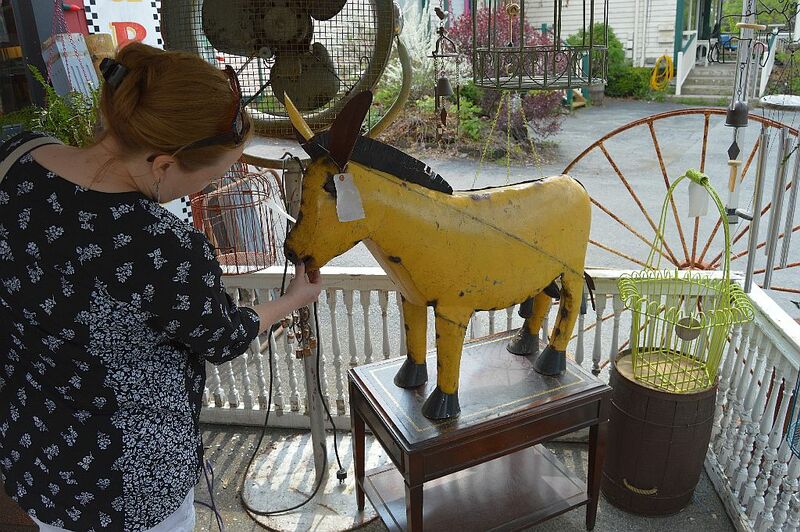 Once you step inside the shop, it is floor to ceiling antiques and collectables. The orderly store had a large selection of jewelry, amongst countless items from yesteryear. We could resist taking a bunch of photos of these funky metal sculptures.